It is never too early to teach children responsibility over their God-given talents and resources. Let the Children Give is an essential resource for this task in two important ways. First, it is packed with creative, educational activities for children of all ages. Second, this book instructs adults on how to demonstrate stewardship in everyday, practical ways. Perfect for supplementing Sunday school and Vacation Bible School lesson plans, Let the Children Give is a valuable resource for anyone desiring to make a difference in the lives of children. 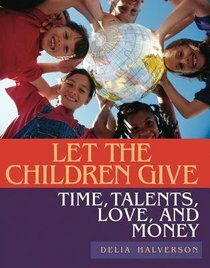 About "Let the Children Give"
Halverson is an author and Christian education specialist who leads workshops for parents and teachers throughout the United States.